The mystery over the sale of Jabong is finally over. 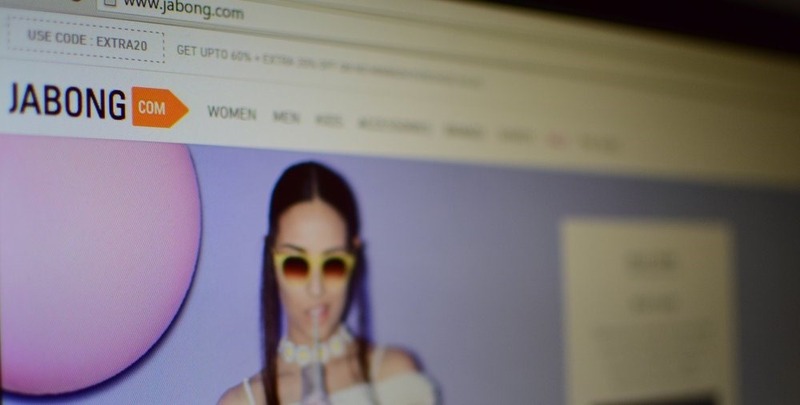 India’s 2nd biggest fashion and lifestyle portal, Jabong which hosts 1500+ international high street brands and over 1.5 lakh designer styles from 1000+ sellers has been lapped up by Myntra for $70 million or approximately Rs 470 crore. The deal symbolizes a perfect yin-yang of ecommerce business: On one hand Myntra specialized in men’s fashion, and commanded control over app-based sales; Jabong was more preferred by females, and desktop was their primary source of traffic. The combined entity has been described as a ‘800 pound gorilla’ by Myntra CEO Ananth Narayanan as they will now command 70% of the online fashion market in India. This announcement marks the end of see-saw type negotiations between Jabong and prospective buyers which included Aditya Birla Group, Future Group and Snapdeal, besides Myntra. We had shared some possible reasons which made Myntra an attractive asset for these potential buyers. But at the end, it was Myntra and Flipkart which managed to seal the deal. Even a 5-year old kid would understand that Flipkart desperately wants to gain market share from Amazon India, and this acquisition of Jabong is a clear cut attempt in this regard. But the question is why a fashion and lifestyle portal? And the answer is that, this is the segment to watch for in coming days. Cornering 70% market share of a fast growing niche is the perfect antidote to Amazon’s reach and might, atleast in India. Indian fashion market on the internet is right now pegged at $2 billion, and it is estimated to expand to $20 billion by 2020. Going by the data, this seems a perfect move by Flipkart to counter Amazon. Besides, Myntra was anyways looking for more diversification into the sub-niches among fashion and lifestyle; and this Jabong deal comes at the appropriate time for them. The same can be applied to Jabong as well, well almost. In 2003, Jabong was valued at a massive $508 million, and after three years, or 1000 days, its valuation fell 80%. Interestingly, in the financial year 2013-14, Jabong reported revenues of Rs 527 crore, which increased to Rs 1083 crore for the FY 2014-15, which was an increase of 105%. But due to gradual exodus of all top management (all co-founders of Jabong have sold out), some bad decisions (over-reliance on discounts) and funding crunch in the market led to this fall of grace for Jabong. Despite these facts, Rocket Internet, which owns Jabong is now relieved as they were looking for an exit since last one year. If Snapdeal had managed to acquire Jabong, then it would have been a huge shot in the arm for India’s 3rd largest ecommerce portal after Amazon and Flipkart. But as per various reports coming in, Snapdeal’s M&A team goofed up royally in piping this deal. Some reports claimed that Snapdeal offered $50 million less than what eventually sealed the deal, and some reports claim that Snapdeal was apprehensive on FDI rules and took time to decide the final call. On the other hand, Flipkart was quick in finalizing an all-cash deal, which made the decision easier for Rocket Internet team. Again, this is a similar case of missed chance as we observed with Yahoo. Around two decades back, Yahoo refused to shell out $1 million to acquire Google and in 2006, Yahoo missed acquiring Facebook by $150 million. If Yahoo had managed these two sales, then today’s Internet scenario would have been completely different. Only time will tell whether Snapdeal’s reluctance to shell out $50 million for a brand like Jabong would be justified or not. Till that time, it’s a complete dominance for the trinity of Flipkart-Myntra-Jabong when it comes to online fashion and lifestyle niche in India. Do share your views on this acquisition by commenting right here! "Jabong Now Belongs To Myntra - 3 Observations For The Internet Entrepreneur From This $70 Million Deal", 3 out of 5 based on 5 ratings.